Refrigerated Oil Cooler we Manufacture is of superior quality and known among the clients for its durability and high end performance. 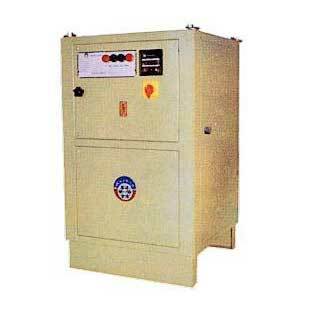 Refrigerated Oil Cooler is supplied with or without circulation pumps. Highly reliable hermetic compressor, electrical controls with overload protection, indicators lamps HP/LP switches and timer etc, are incorporated in Manufacturing of the Refrigerated Oil Coolers. The required temperature in the Refrigerated Oil Cooler can be set and controlled through an Electronic device.